"How should the EU change in order to welcome the Other? How should Poland change within a re-imagined EU? How should Israel change to become part of the Middle East? Join international delegates at the first congress of The Jewish Renaissance Movement in Poland (JRMiP) to address and answer these questions. For three days we will assemble in Berlin to collectively imagine a new future and to formulate the concrete platform and demands of the movement. The JRMiP invites you to raise your voice and take part in the Congress. You can become a delegate or register as an active participant. Please check www.jrmip.org for regular updates of the Congress. The Congress will depart from a letter of the late leader of the Movement, S?awomir Sierakowski, found after his assassination (see below). 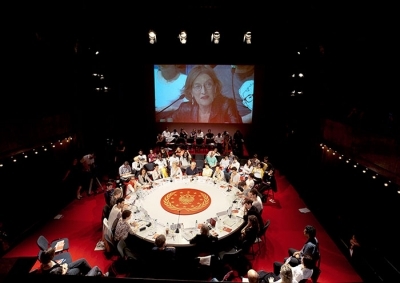 The three-day long Congress, taking place within the framework of the 7th Berlin Biennale of Contemporary Art, will operate as a symbolic parliament, debating daily upon one of the questions mentioned above. Use the chance and contribute your demand to the movement’s platform and vote upon the future agenda of the JRMiP." Yael Bartana (1970, Kfar-Yehezkel, Israel) studied at the Bezalel Academy of Arts and Design, Jerusalem, the School of Visual Arts, New York and the Rijksakademie in Amsterdam. Her solo exhibitions include the Moderna Museet, Malmö ; PS1/MoMA, New York; The Center for Contemporary Art, Tel Aviv; the Kunstverein Hamburg; and most recently at Secession, Vienna. 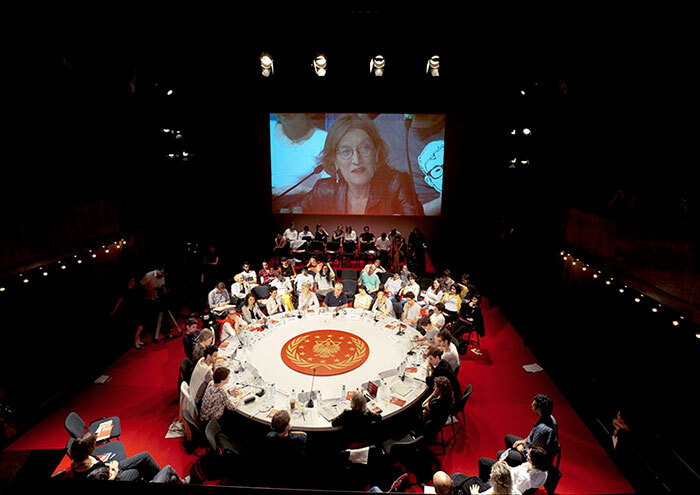 In 2011, she represented Poland for the 54th edition of the Venice Biennial where the trilogy premiered.